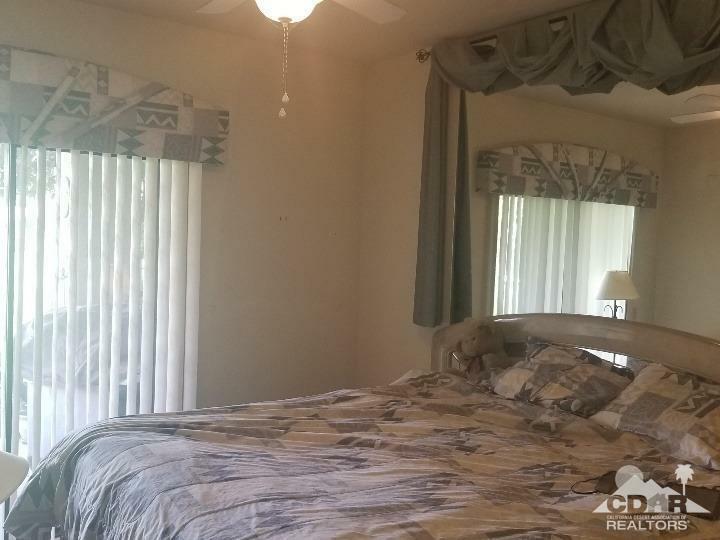 This one bedroom is just waiting for your touch! 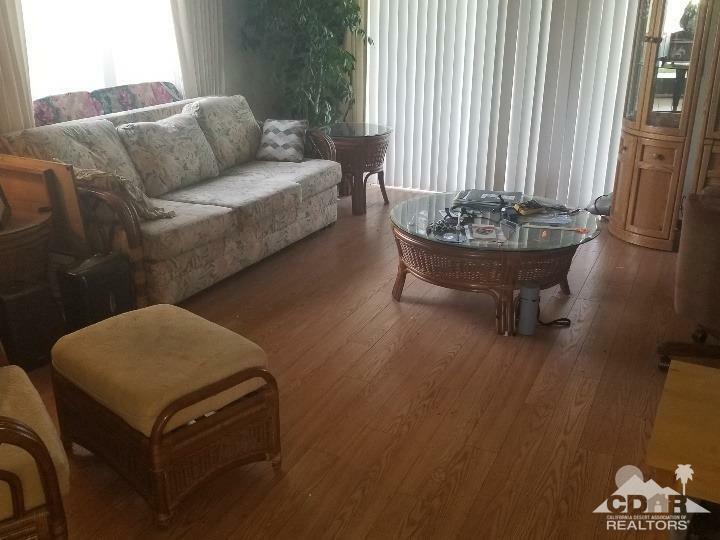 Wood flooring in living areas and nice tile in both baths. 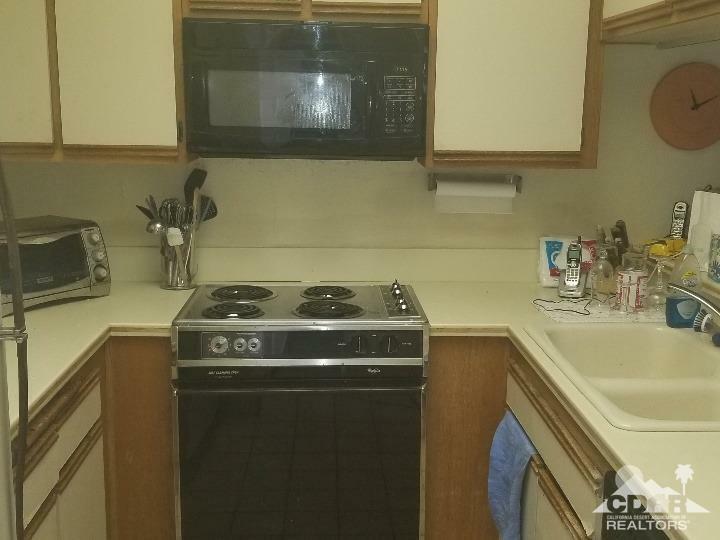 Location is right across from the new homes. Park like back patio area and view of the course. The Desert Princess community has an affordable 27 hole PGA Championship golf course with no initiation fee and is rated among the best in the valley by Golf Digest. This quiet community is away from the noise yet less than ten minutes from Palm Springs Inter. Airport. 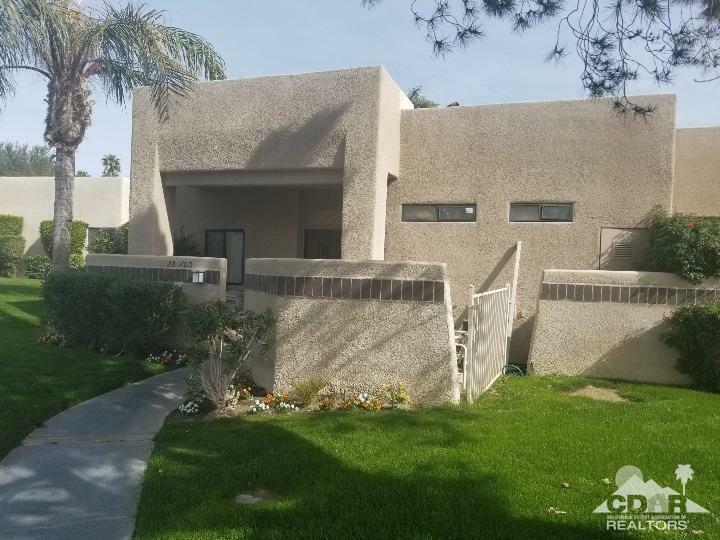 Close to everything in Palm Springs: Restaurants, shopping, casinos, street fair, 33 swimming pools, 10 Tennis Courts,Health and Fitness Courts, Health and Fitness Center. 24 hr guard gated community.